Just one year after their adopted son Luc arrives from Haiti, the Garwood family is establishing their own roots in a predominantly African-American neighborhood in South Los Angeles. Parents Allison and Reed, a white couple, immerse themselves in black culture through church and a strong circle of friends, but they can’t escape the harsh opinions of the outside world. Color Blind provides an intimate glimpse into the experience of families who have adopted across cultural and racial lines. The Garwoods are joined by the Howertons, a multi-racial family with two adopted boys. 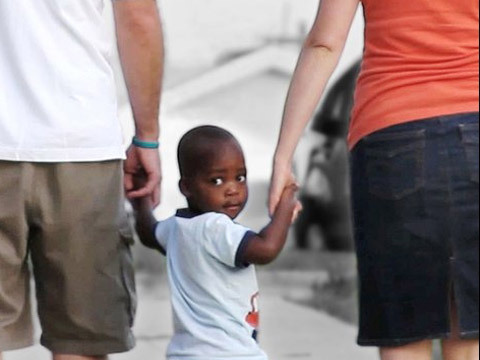 We learn that racism and negative perceptions from others are a part of these families’ lives. As our understanding of their struggles deepens, one cannot help but wonder: Is love enough to bring them through the challenges that await? Khadija is currently pursuing her MFA in film production from the University of Southern California. As a writer and director, she hopes to tell diverse stories about the African Diaspora. She received her Bachelor of Arts from Sarah Lawrence College in History.